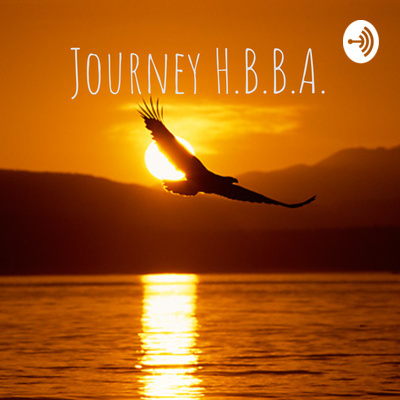 An episode of Journey H.B.B.A. The Noise is our differences, allow me to share the”One Thing” we have in common. The “One Thing” that is not separated by color, by culture, by country. #MakingGratitudeContagious is always the intent. Planting Flowers, Pulling Weeds In the pain, you sometimes find the beauty. Maybe it’s because, pain, loss, challenges in our lives or the lives of our loved ones, dear friends, it allows us to see, to be reminded that there is so much more to see, to do, there is a beauty to embrace not just on the planned vacations or special days. There is beauty every single day that we can participate in by what we do or by what we say. We can observe the beauty that surrounds us in the smallest way. This message is for the Holiday Season, a reminder to You and I. Why? Why the intent of? Why #MakingGratitudeContagious Many reasons but sharing the one that I feel led to now. There is a reason, there is a thing, there is a thief and my intent is to expose his name. . .and to let you know WHY?! I Just Don't Want To. . . There comes a time along life's journey that is a crossroad, it a place where "decisions" are made and "making a choice" is decided. In many ways it is your life taking another step, shifting in some ways. Today is a "moment" at a Crossroad. . .
To Be Angry or Take Action that is the question every single day?! As we approach the Holiday Season, I was inspired to share a reminder for some and a consideration for others, regarding our Life’s Garden. There is an hourglass in the ocean, can you see it?! Eagles represent so many attributes along life’s journey. This is the foundation of why An Eagle Call! A New Day, A New Season, Change. Routine is and can be a Thief. What if we Embrace Change if we Embrace Seasons? What if?! Be Alert, "one" Distraction can change your life forever. Be Alert. #AlwaysAChoice #MakingGratitudeContagious is always the Intent, the work. #HelpingBuildBridgesAcross from generation to the next. 1st Episode ~ I'm Grateful to share on Anchor.fm My Intent is: #MakingGratitudeContagious ~ Evil kicked down my door on September 7th, 2016, my life was altered forever but An Eagle knows that Storms come along life's journey but to use the Winds to Go Higher, to Rise above the Storm. My truth is, It's not just about me, it's about how I can take what happened to me and Make an Impact. To let someone, somewhere know "You are Not Alone" #HelpingBuildBridgesAcross from our generation to the next.